The favourite seems to be 'Long term economic plan'...which I've just learned is apparently officially a Government slogan. Wonder how many times it will be in the Budget? 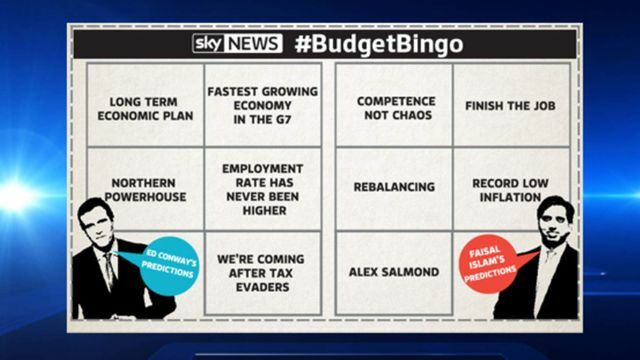 What key phrases will Chancellor George Osborne use in his last Budget before the General Election?